Our Blog Wharfedale's Pro Typhon AX12 is coming soon! 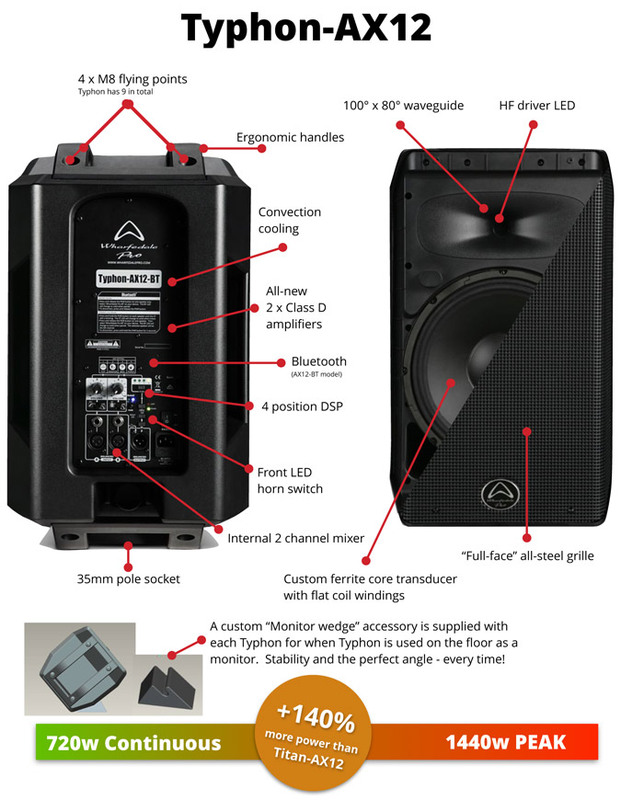 Wharfedale's Pro Typhon AX12 is coming soon! 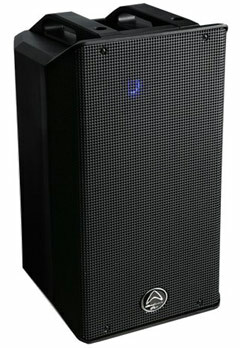 The Wharfedale Typhon is on its way - brand new to Australia!! Get more info here! 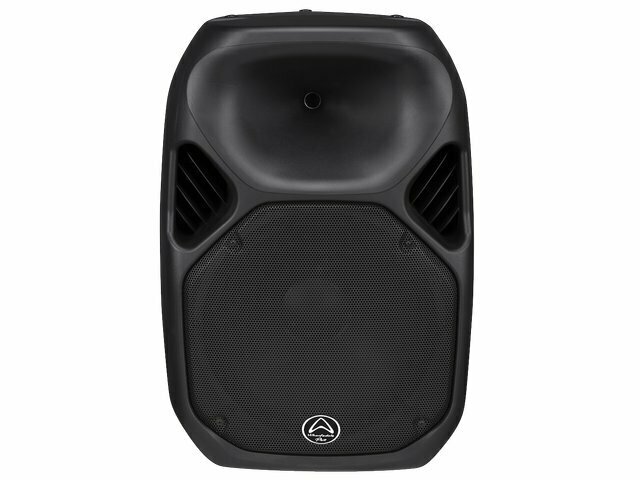 With a peak power of 1440w (or 2880w PRG) and Blue Tooth connectivity, the Typhon is set to redefine 12" active speaker sound reinforcement once and for all. Wharfedale Pro's ever popular TITAN series of active and passive speakers evolves further with the introduction of the new TITAN-X series. The TITAN-X series loudspeakers now include Wharfedale Pro's proprietary IRIS X design which delivers increased coil radius and increased electrical sensitivity. The radius of the coil ensures smooth heat dissipation during prolonged high volume use, while the increased electrical sensitivity ensures that the transducer converts as much electrical power into sound output as the laws of physics will allow. 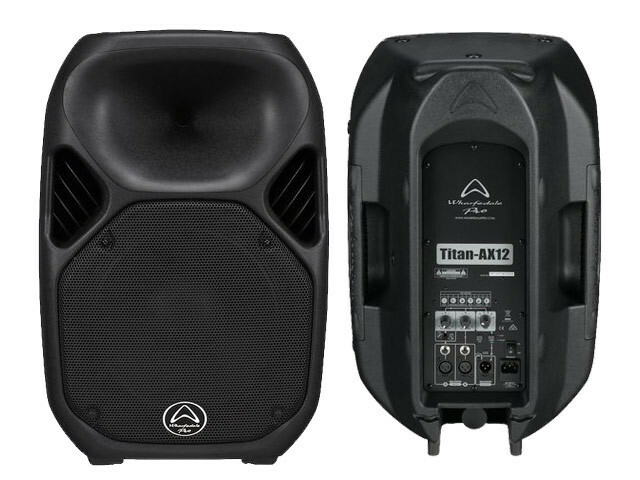 The TITANAX12 is rated at 300W RMS (1200W in marketing peak terms) and delivers 128dB SPL. It includes built-in 6 position DSP, two channel mixer, audio out connection and EQ. The TITANAX15 is rated at 400W RMS (1600W in marketing peak terms) and delivers 129dB SPL. It includes built-in 6 position DSP, two channel mixer, audio out connection and EQ.